In the spirit of Sunday brunches, we popped by The Macintosh to see what Charleston has to offer when it comes to this weekend tradition. 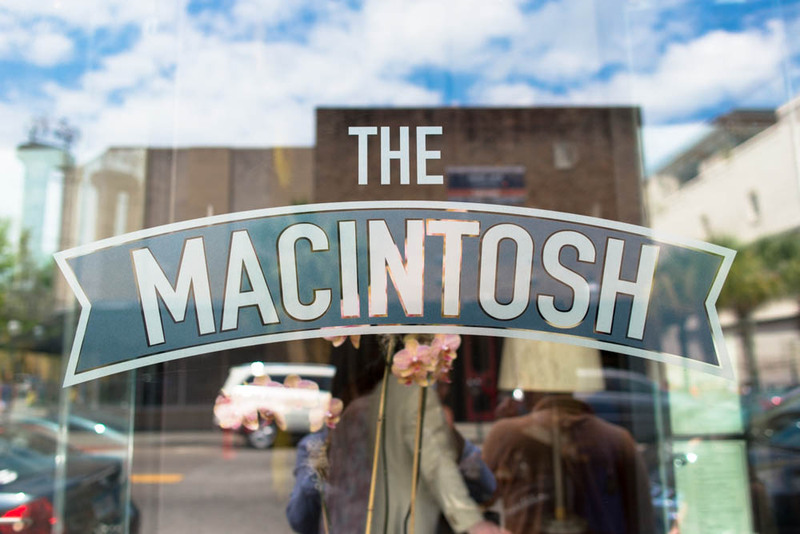 The Macintosh is a trendy yet down-to-earth bar/restaurant located on upper King street, right in the middle of all the action. First things first, coffee and Bloody Mary to start and then we were off to the races with a rather generous serving of fries. 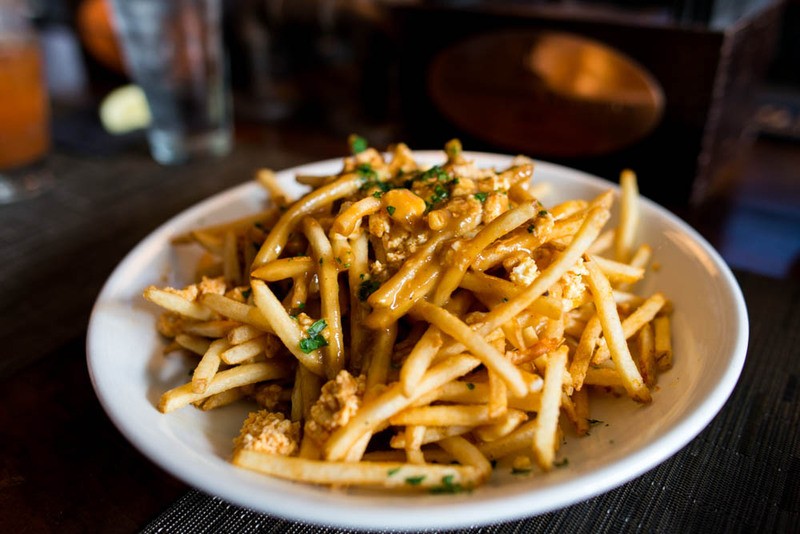 Now these were no ordinary fries. Topped with spiced cheese curd and hot gravy, these were Macintosh’s delicious Southern take on a Northern favorite. 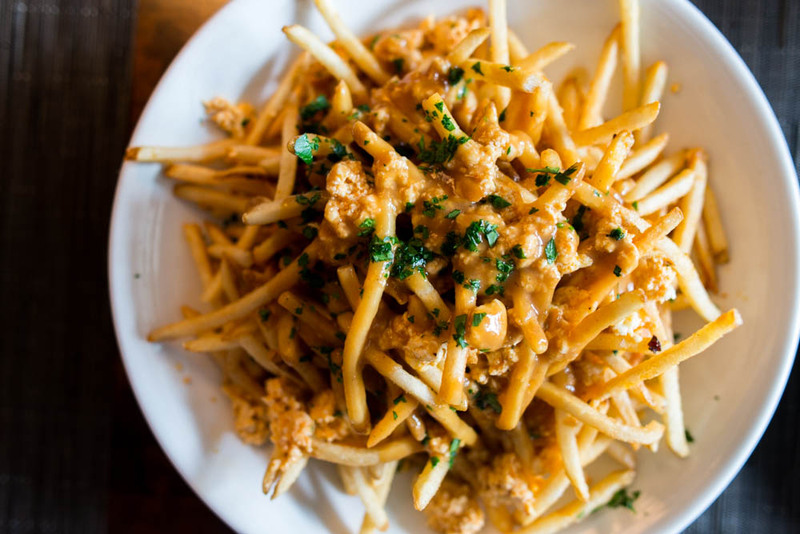 We were so busy devouring the mountain of fries that we almost ruined our appetite for our main courses. The delicious cheese curds from the poutines reappeared as a part of the Huevos Rancheros. 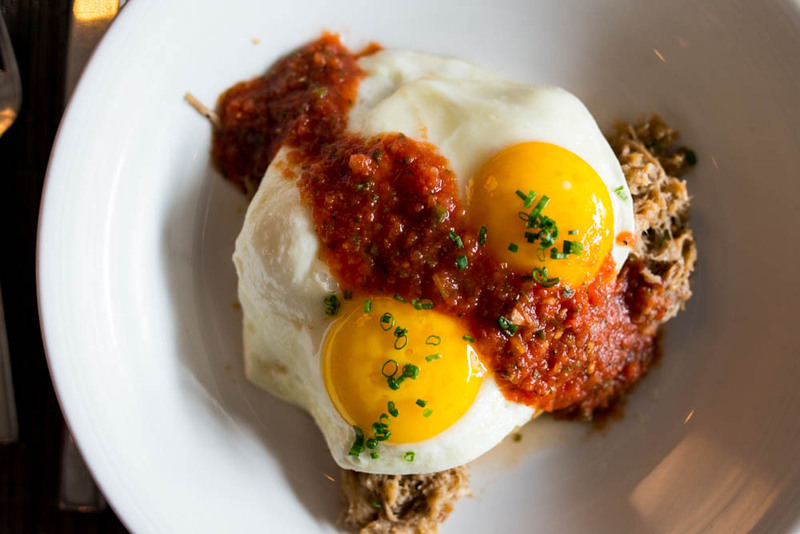 In true Southern fashion, beneath crispy housemade tortillas and sunny side up eggs was a good helping of flavorful pork confit. The salsa added just the right amount of kick to the dish. Since we have been glutinous already, why not put it over the top with a plate of the “Mac Attack”. This might be in the running for one of most insanely rich and decadent brunch dishes I have ever had. 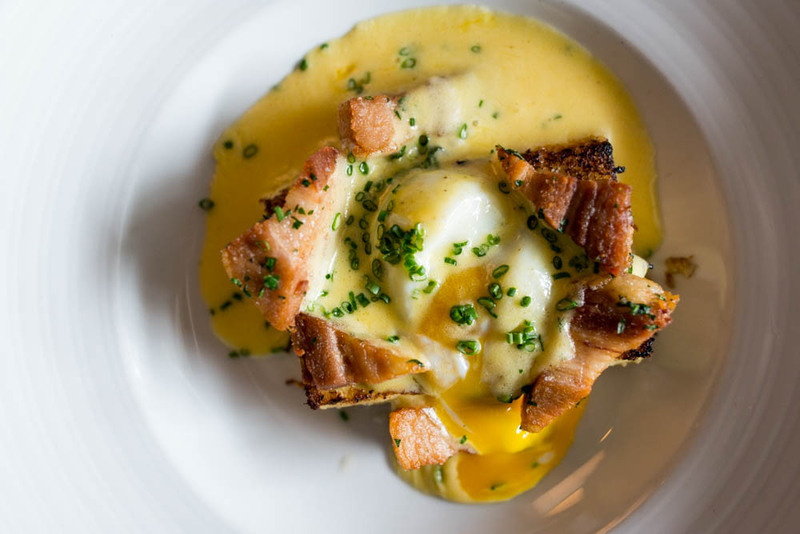 Bone marrow bread pudding was topped with pork belly and an poached egg. To top it all off, a light Hollandaise over everything. Our Monday lunch plans didn’t go quite as smoothly as Sunday’s. While I am proud to say that I had done some intense due diligence before the trip to select a cross section of all the culinary delights Charleston had to offer, I did fail on one logistical aspect. Silly me, why would a restaurant close on Monday for lunch? Or not open at all for lunch? Such was the case with Bowen Island Restaurant. Refusing to settle for anything other than extraordinary, we swallowed our hunger for the time being and spent a short period on the beach before heading back into town. Luckily, I had a few back-ups in mind and were fortunate enough to crash into Butcher & Bee off of the popular strip of King Street just 15 minutes before they closed the lunch service. Even though they were wrapping for lunch, the staff was friendly and guided us indecisive visitors. 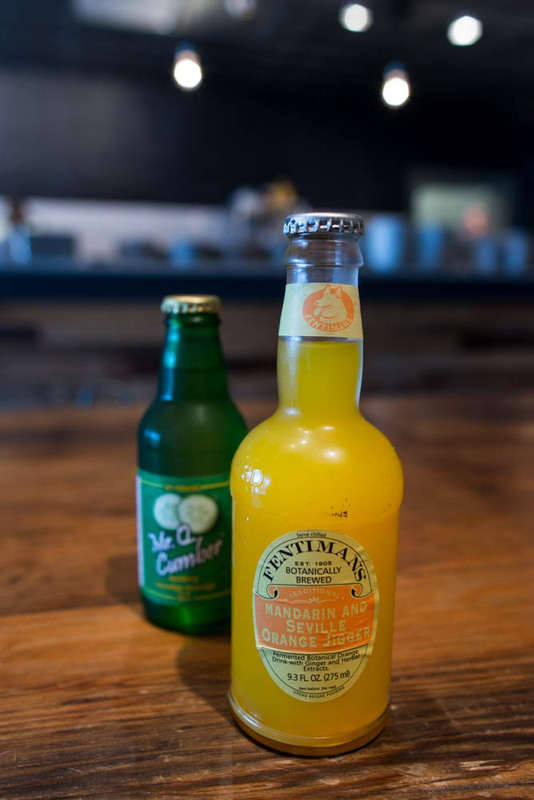 To cool down from our day on the beach, a refreshing Mr. Q Cucumber soda and a Fentiman’s Mandarin and Seville orange juice. 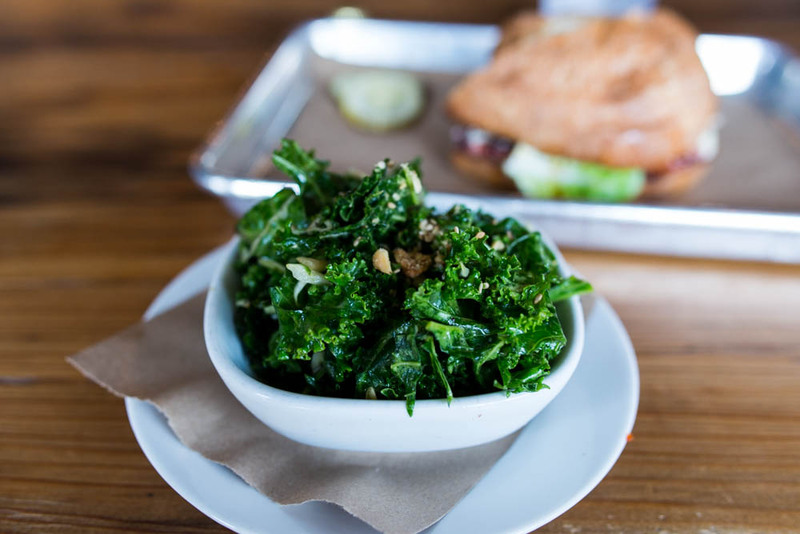 To balance out the generous portions of pork we had been consuming, a kale salad dressed soy, sesame and peanuts. Light and refreshing, it was great to munch on something green and healthy. 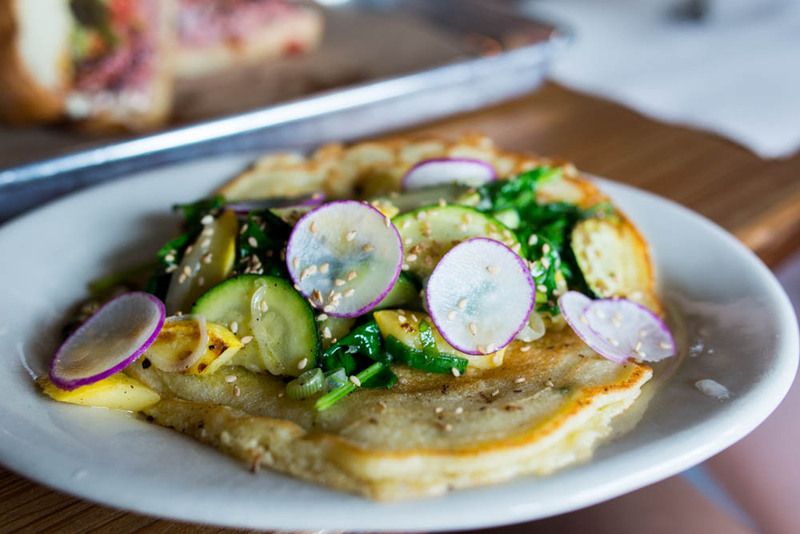 We piled on the veggies with the spring onion pancake. This was a light and fluffy savory pancake topped with sauteed squash, spring onions and green garlic butter. The flavors of summer shined through with the simple preparation. Because it was nearly 3PM at this point and we were both rather ravenous, it was pretty an unanimous decision to split two rather than one sandwich. I almost skipped over the roast beef sandwich and boy was I glad that decision was overruled. This might have been one of the best roast beef sandwiches I have ever enjoyed. Generous slices of tender juicy roast beef was topped with a chimichurri sauce, sweet roasted onion jam and a dab of mayonnaise. The Ciabata bread was lightly grilled and the warmth melted all the components into one homogeneous delicious sauce that burst with flavors. In comparison, the Carolina trout sandwich was a lot less exciting. 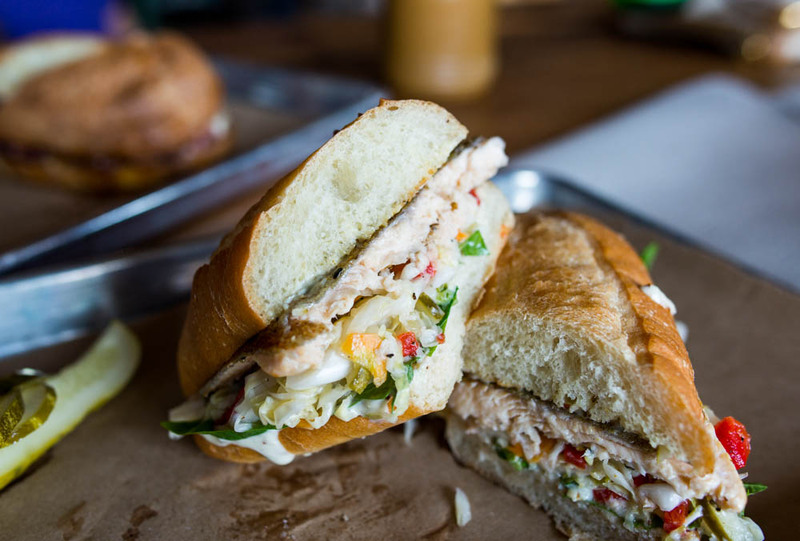 A grilled filet of trout was served on a soft hoagie with pickle slaw and remoulade. 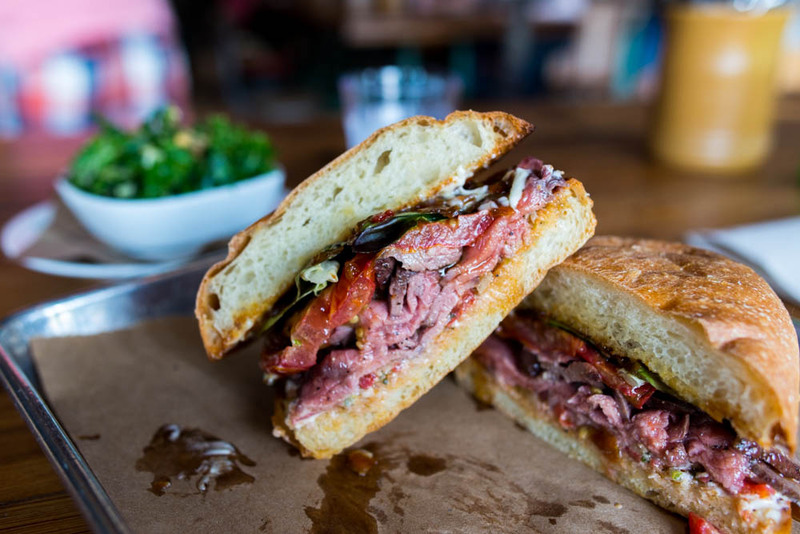 Nonetheless, the fresh ingredients and wonderful combination of flavors still made for a pretty delicious sandwich. 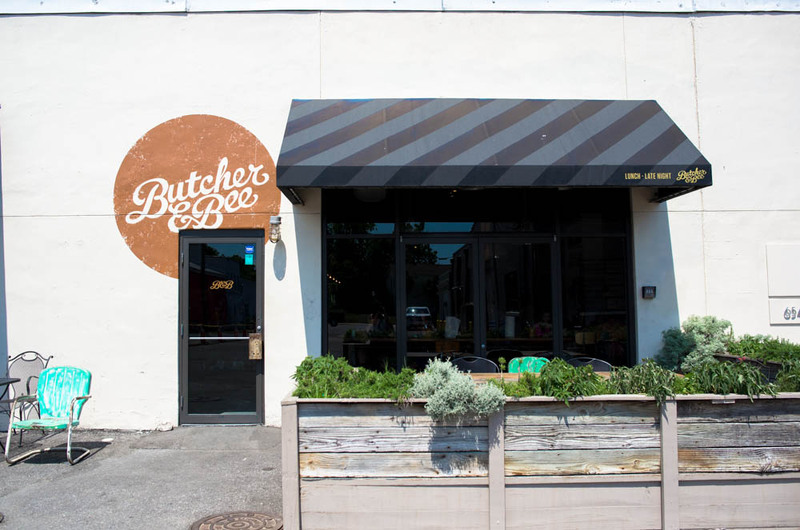 As happy as I am that we were able to fit Butcher & Bee into our adventure at Charleston for lunch, I am still determined to visit here for one of their pop-up dinners featuring guest chefs from all over. 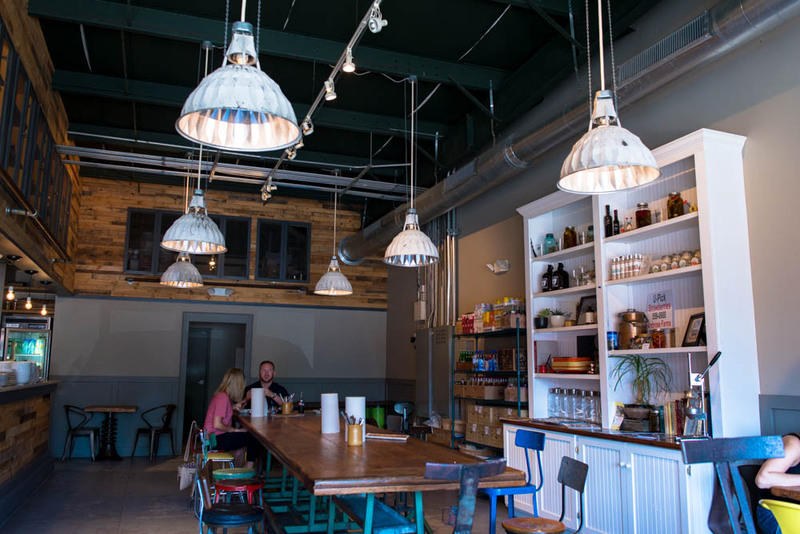 A sandwich shop by day and a pop-up by night, how cool is that?